So, we eventually upgraded our conversations to voice chat, then video chat. 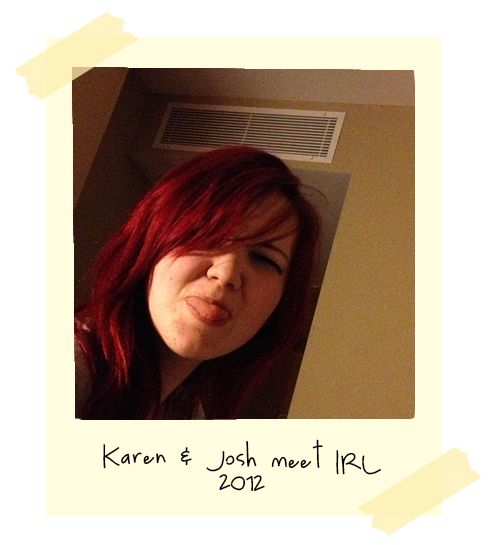 After which Josh came up with a lame excuse about needing to come to Ireland for research for one of his books. We arranged to meet and spend the whole week together while he was here. 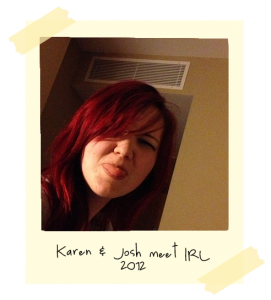 This picture was taken in the hotel Josh was staying in the first time we meet in person.